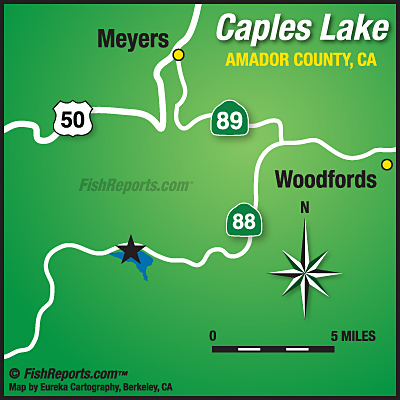 Fish Have been Biting on Caples! The lake is clear of ice and the Eldorado Irritation District boat ramp and day use facility is open. The lake level is up and the fish have been biting. The Caples lake Resort will open any day now. The CDFW has planted the lake with rainbow trout. For more information call the Caples Lake Resort at 209-258-8888.